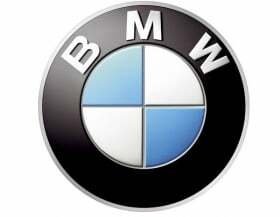 FRANKFURT – BMW AG's core brand topped rivals Audi and Mercedes-Benz in October with global sales of 115,136 cars, a rise of 6.8 percent from the same month in 2010. Audi's sales increased 24 percent to 108,500 cars last month while Mercedes' sales increased 2.9 percent to 103,378. In the first 10 months, the BMW brand has sold 1.13 million cars, a rise of 13.6 percent, helped by the success of the 5 series and X3. Audi sales rose 18 percent in the same period to 1.08 million. Mercedes grew sales 7.1 percent to 1.02 million units. Overall sales of BMW Group vehicles including the Mini and Rolls-Royce brands grew 15.2 percent in the first ten months to 1.3 million units. In October, the group sold 139,276 vehicles, a rise of 8.3 percent. In July, BMW increased its 2011 sales forecast to 1.6 million vehicles from 1.5 million. According to the research firm IHS Automotive, Audi, which aims to overtake BMW as the luxury-car leader by 2015, may drop back to third place behind Mercedes in 2012. Audi sales are likely to grow 6.7 percent to 1.33 million vehicles, while Mercedes is projected to grow 10 percent to 1.36 million car, IHS said. BMW will likely expand its sales lead with 1.47 million deliveries next year, the research firm added. A new line of less expensive and more utilitarian compact cars and growing sales of the automaker's latest C-class model may help Mercedes outsell Audi next year, while BMW will likely extend its luxury lead with next-generation models of the 1 series and 3 series, IHS said.